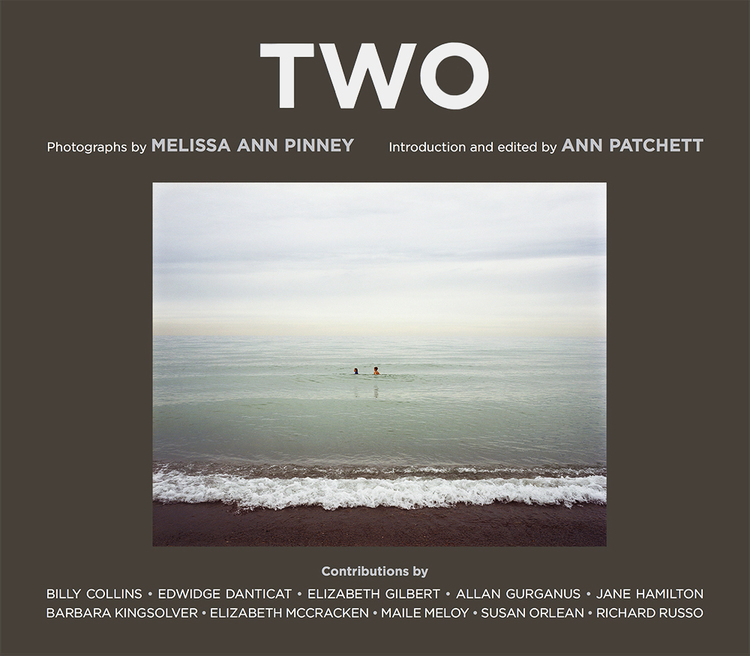 “Two” is a compelling book of photographs by Evanston photographer Melissa Ann Pinney. Edited and introduced by Ann Patchett, interspersed throughout are ten essays on the theme of twoness written by some of our best contemporary writers, including Barbara Kingsolver, Edwidge Danticat and Richard Russo. The idea for this book, Pinney’s third, sparked when Pinney noticed that she’d spent a lifetime taking pictures of twoness. She contacted Patchett, telling her, “I’m starting to think about a new book…Things in pairs. Two things.” Patchett understood Pinney’s vision immediately on seeing the photos, and in her introduction writes: “I was struck with both the comfort and the tension these pictures contained.” This uneasy equilibrium is what makes Pinney’s photographs profound. Insight in “Two” comes from repressed feelings Pinney captures in her subjects; the causticity comes from her choices, as in taking a photo of two young people sitting side by side facing a wall; the humor arises out of the details she notices, such as a young girl at a parade with large American flags worn as earrings.